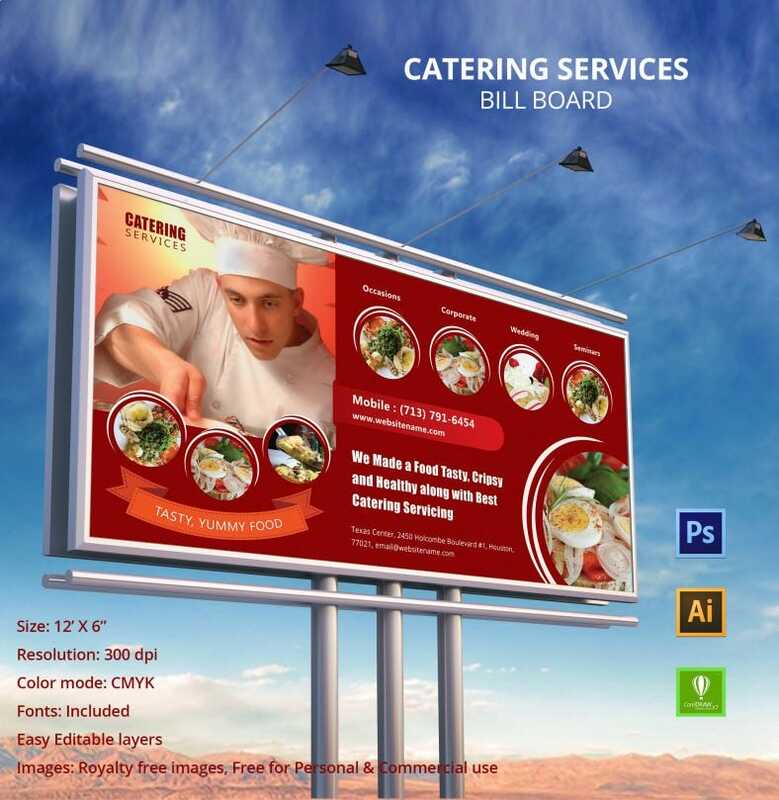 Our website specializes not only in brochures but also in making large advertising banners for Bill Boards. There is various styles and designs present on our website for bill boards and we also have some instructions that can be of use to you. 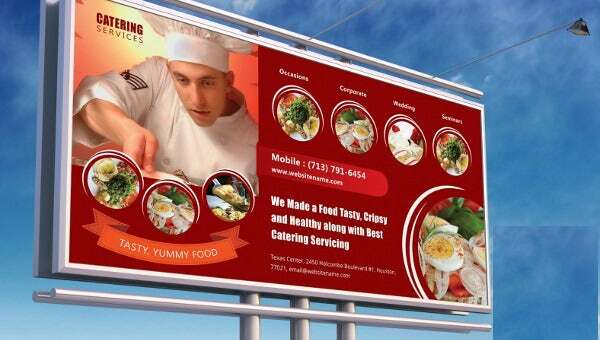 Any catering service can use our services to promote their restaurants and the like and we will give you our best performance and style to make these banners. These banners are editable and can be customized according to you and can be downloaded and printed on our website in PDF and PSD formats.